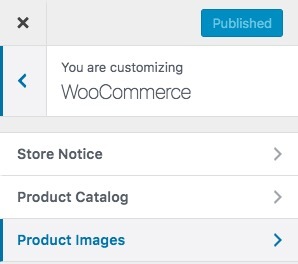 WooCommerce images are set directly within WooCommerce itself rather than being controlled by the theme, this gives you greater scope in controlling the image size and how they display on the front-end of your site. You will also have an option to crop the thumbnail images as square, crop them with the custom aspect ratio or keep the thumbnails uncropped. What size you'll want to set will depend on entirely on how you want them to display on your website and if you have any third party plugins/code that removes/modifies how images are shown. 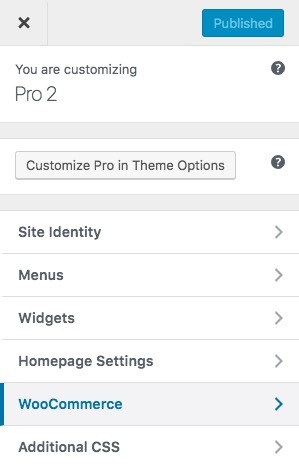 For more information on how to set up a Child Theme click here. Getting the exact image dimensions for your site will take some experimentation and factors will include custom code added, custom CSS, the type of product image (narrow, wide, large, small, etc.) along with a varying combination of other factors. 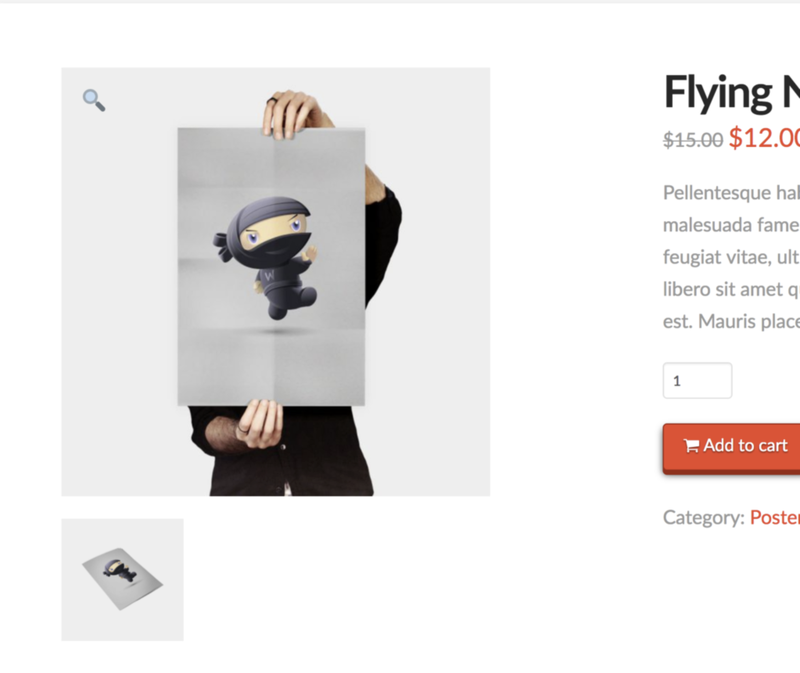 If you see your product images being blurry read this article for more information. Finally, for more detailed information about the Woocommerce product images check this article. 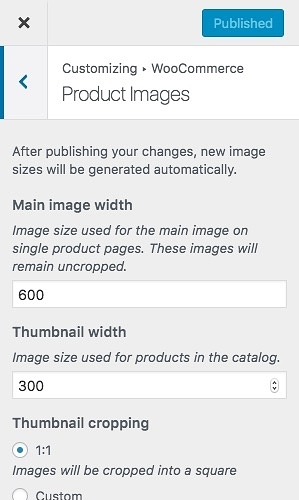 Once you've modified the image sizes, you'll need to regenerate thumbnails for the changes to take effect. Luckily there's a range of plugins that can do this for you. 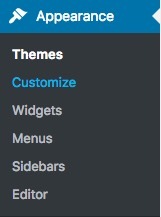 Head on over to your wp-admin > plugins > add new in the search box type regenerate thumbnails and then press enter. On the results screen, the first plugin should just be called regenerate thumbnails and has 1+ million active installs. Go ahead and install the plugin, once the plugin is installed and activated. You'll see a new option called Regen. 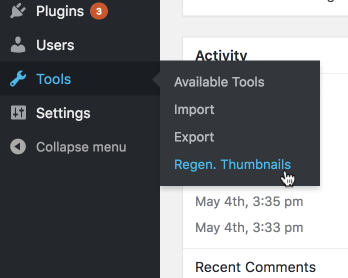 Thumbnails under the Tools admin menu item. Click that, and then on the next page, there is just one button to start the regeneration process. It'll go through your images one by one and a progress bar and running total will keep you updated on how close to completion the process is. 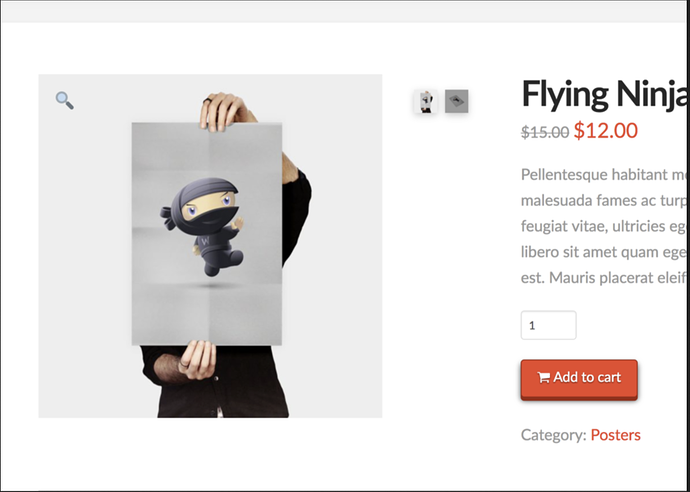 Note: Keep in mind that you will need to do this every time after updating your image sizes.